Buying a night light lamp for your living room or kid’s bedroom doesn’t have to as daunting as most people think. With the advanced lighting systems available in the market, you should look for one that can address your home lighting needs. If you’re buying a smart night light lamp, look for one with intuitive features. To ease your search for the best one, here are ten of the best intelligent night light lamps you can get. Mella Ready to Rise is a smart night light lamp from Littlehippo with a patented and beautiful design. You can count on it to keep your kid in bed longer and get more sleep. 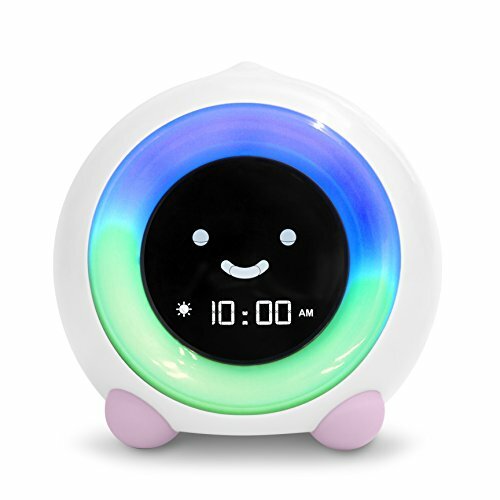 The lamp uses facial expressions and colors to alert your children when it’s time to wake up and time for bed. Littlehippo Mella comes with three alarm sounds including silent countdown and an alarm for timed activities meant for older kids. The lamp has durable and safe constructed features. 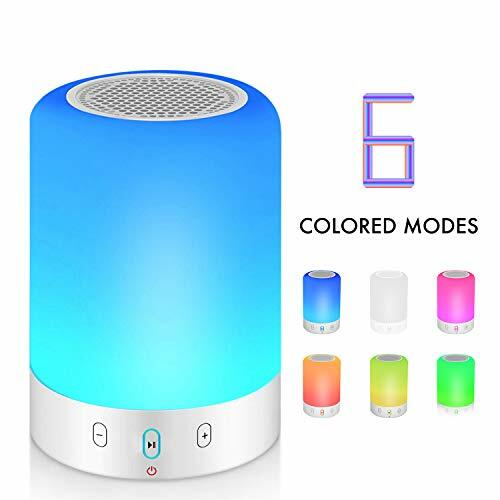 Mella also has five night light colors and three sleep sound options to soothe your child to sleep. Night Light is a smart lamp with Bluetooth Play, TF card, and FM Radio support. The lights automatically change to pink, purple, blue, green, orange and other colors at different times. Pressing the metal circular sensor makes the color to stay on a specific color. The built-in 3.7V 2000mAh lithium-ion battery delivers up to 10hrs music time on low brightness and up to 120hrs music time with light off. Touching the circular sensor found on the top of the lamp helps you change the six light colors. When time is up, lamp and music shut down automatically. When purchased, the product comes with one Bluetooth speaker, 40-day money back guarantee, one USB cable and one user manual. Wake up Light is an intelligent night light lamp with an autocycle 256 RGB color combinations. 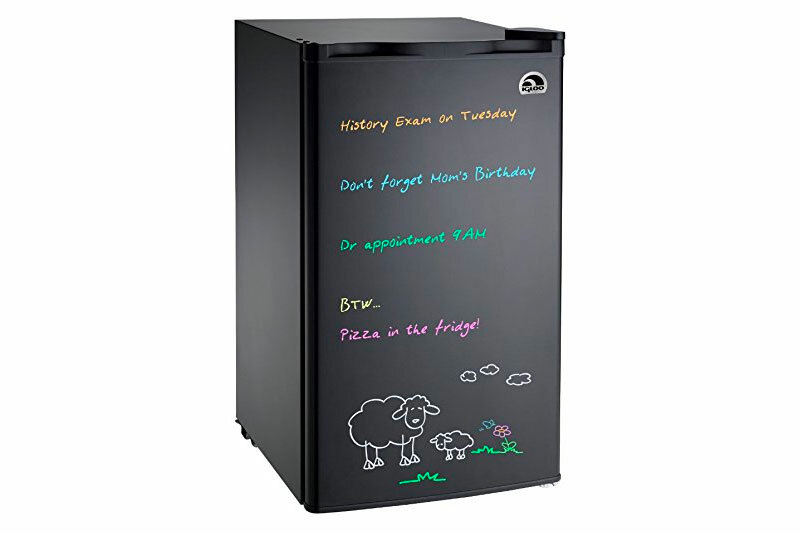 You can set it to the color temps that suit your mood. The sleep aid function features a soft sleep aid sound and unique reddish orange light to help you fall asleep quickly. 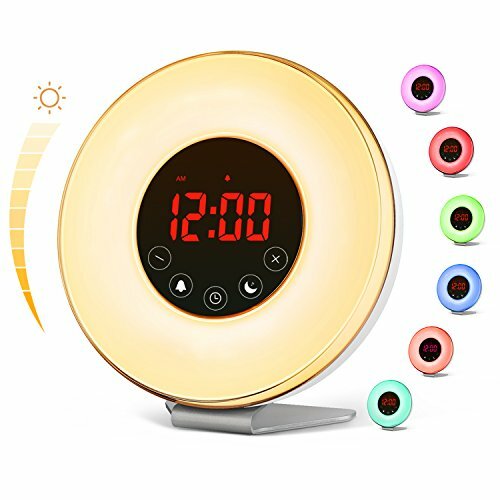 The product is suitable for use as a baby night light, atmosphere ambiance light, bedside lamp, alarm clock, and emergency light. You can use it conveniently outdoors and indoors. Wake up Light has 3 light settings suited for different applications. 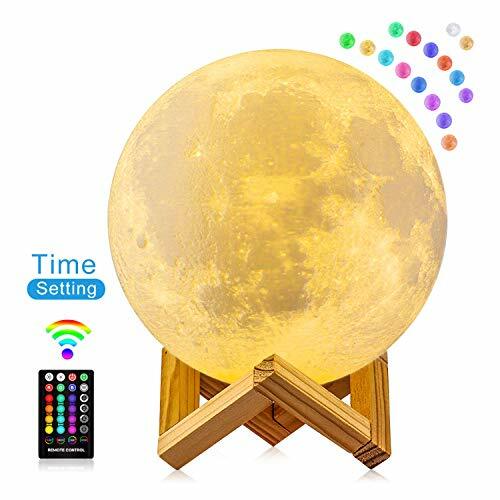 Moon Lamp 3d stands out for its remote control feature. The lamp also comes with energy efficient and low voltage led light bulb that can’t hurt your eyes. You can use the remote control to set the time you expect it to shut off before sleeping. You can also charge the built-in rechargeable battery on your power bank or computer power bank using a USB cable. The remote control helps adjust brightness and change the colors. Note that the touch switch is only suitable for changing the color and turning the device on/off. You can hang the moon lamp on the ceiling of your house using the included hook and string. 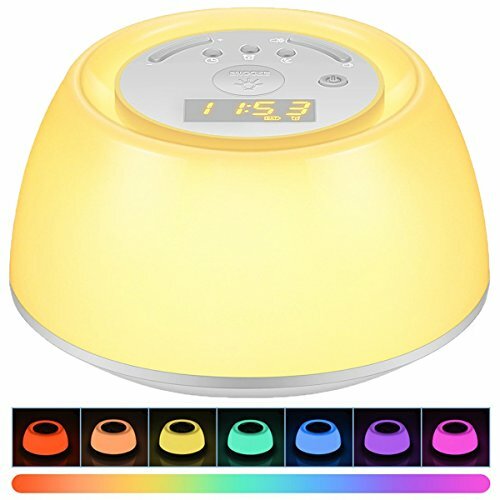 Hatch Baby Rest is a multi-functional lamp that combines nightlight, sound machine, and alarm in one easy-to-use device. 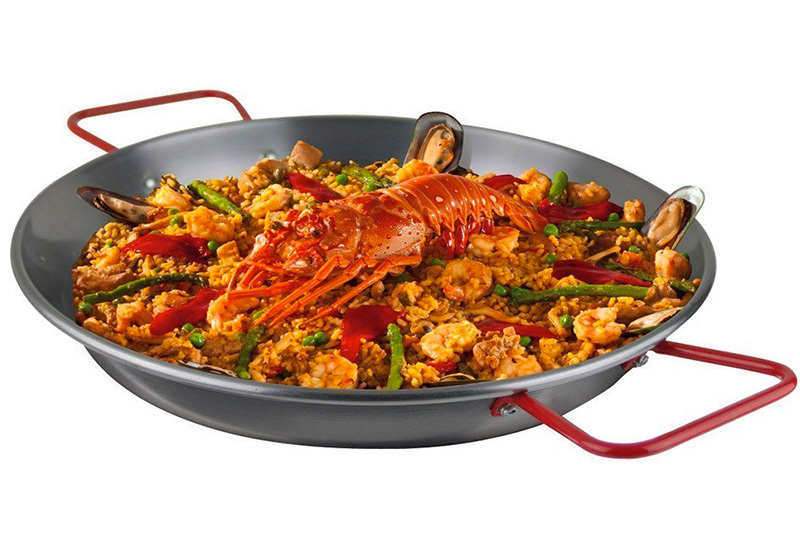 You can operate the system from your Android iOS tablet or phone. 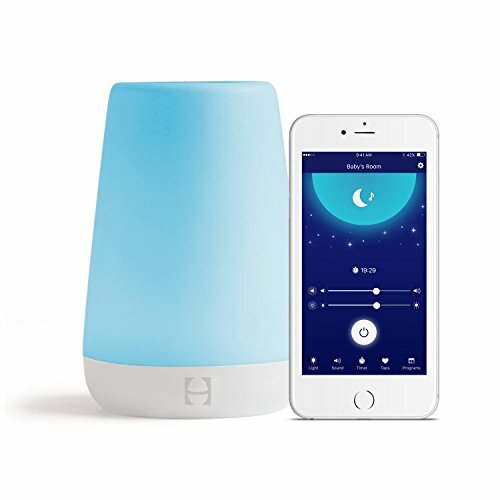 Hatch Baby Rest also lets you customize the brightness, volume level, color, and sound. You can adjust the programs to turn on and off automatically depending on your family’s sleep schedule. Vodool Sunrise is a smart night light that offers a less demanding way for waking up and starting the day peacefully. The lighting system relies on a unique combination of sound and light to operate. Vodool Sunrise offers 7 color settings including warm white, green, red, blue, purple, orange and indigo. You can find your favorite tunes using the traditional FM radio and choose from 6 natural sounds. The touch control helps you adjust different functions of the lump. The light simulation, on the other hand, has 10 separate intensities to help you find the appropriate brightness for waking up in the morning. 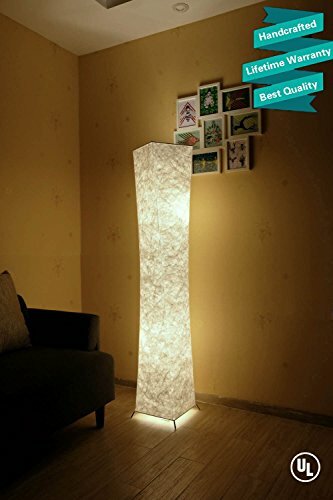 Design 61”is a creative floor lamp that features two 7 watt power-saving led light to eliminate the need for replacing the bulb. The advanced 2,700k warm white led technology allows the lamp to operate over 20 years without overheating or burning out. 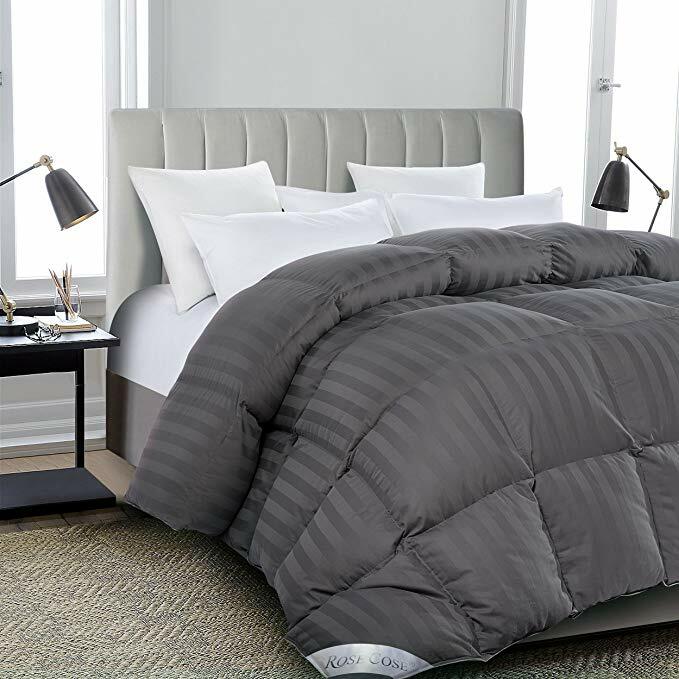 The overall look and feel of Leonc Design 61” can make any room feel warm and cozy. 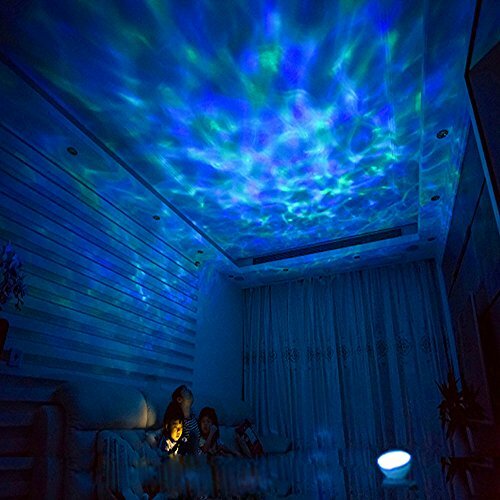 Ocean Wave is an LED night light lamp with two operation modes (touch sensing and remote control) for convenience. The lamp automatically shuts off after a specific time. The projection night light relies on a DC 5V USB input to power it. You can use it to create a delightful and relaxing atmosphere for your living room, bedroom or kid’s bedroom. 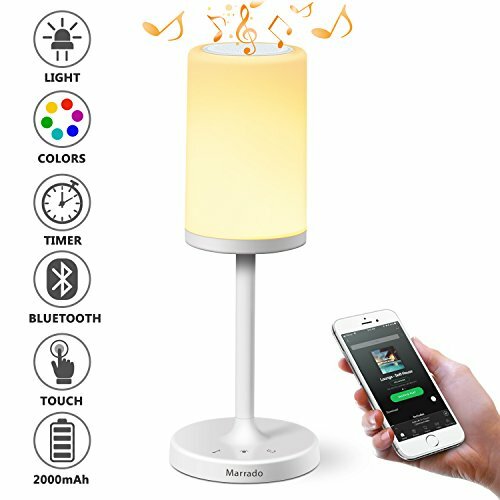 The Marrado lighting system features a wireless music player, Bluetooth 4.2 speaker, and smart touch LED mood lamp. You can charge the portable cordless bedside light by USB. The lamp is ideal for an outdoor evening picnic, a romantic dinner, studying and bedside lighting. The 360° light panel offers more uniform and delicate lighting. You can also adjust the brightness by laying your finger on the touch-sensitive panel and choosing from the different brightness settings provided. 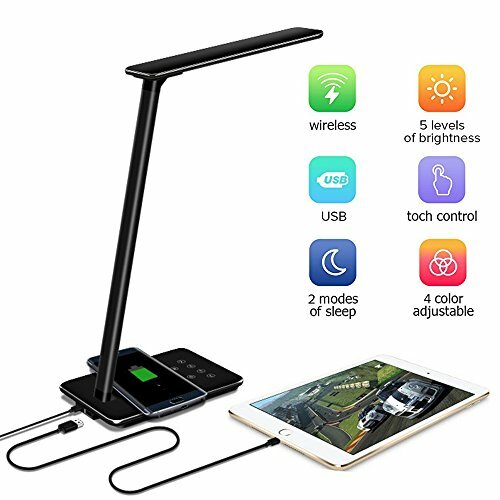 Led Desk Lamp is an energy saving led desktop lamp with a convenient timer for shutting off and sleek touchscreen buttons. The lamp is suitable for late night working at the office, detailed drafting work and reading. The aluminum frame is flexible and durable to offer maximum illumination from different angles. 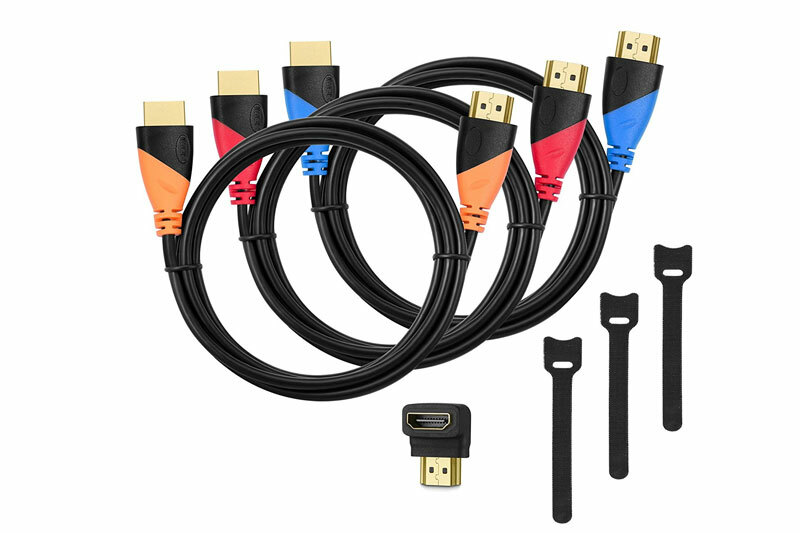 When purchased, the package comes with a cable and an AC charger for your convenience. As discussed above, a good night light lamp should come with automatic shut off and sleek controls. 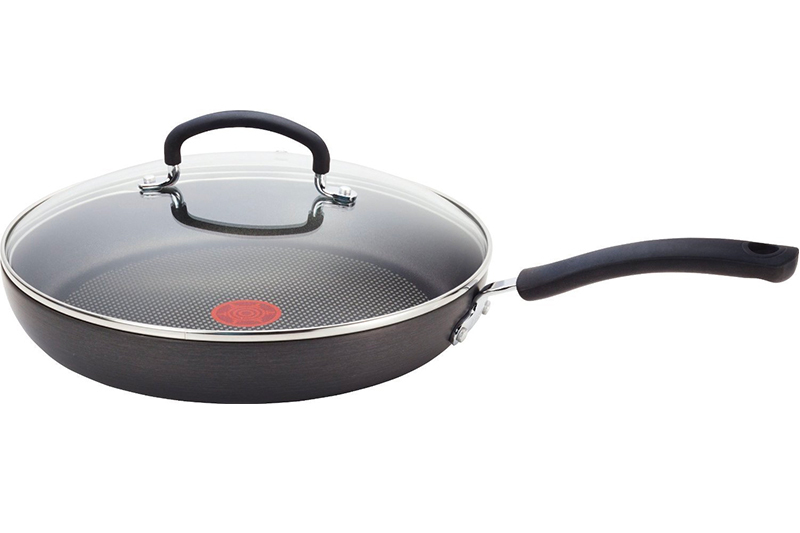 Consider looking for one that’s suitable for use in different settings. The lamp’s design and color options should also complement your home’s interior design.